In a last-ditch attempt to save the struggling Vogtle nuclear energy project in Georgia, the U.S. Department of Energy has just proposed adding another $3.7 billion in loan guarantees to the $8.3 billion load it is already carrying, for a total of $12 billion. In a related move, the Energy Department also proposed a regulatory carve-out that would enable nuclear and coal power plants to continue operating, even if less costly alternatives are available. That's quite a bit of over-extension to aid a single industry, and it puts President Trump in a tight spot. After all, he is the chief representative of a political party that advocated long and hard against "picking energy winners and losers" during the Obama Administration. Before digging into this latest episode in the U.S. nuclear energy industry, it's worth recalling that the Energy Department's mission is deeply entwined with nuclear energy. The agency traces its roots to the 1954 Atomic Energy Act, which enabled the private sector commercialization of research derived from the Defense Department's nuclear weapons and naval propulsion programs. The Department of Energy was formed in 1977 in the wake of the OPEC oil crisis. The new law pulled the nuclear energy mission together with a patchwork of other federal energy programs, including renewables, in order to advance a coordinated national energy policy. Speaking of renewables, the National Renewable Energy Laboratory also came into being in 1977 and is celebrating its 40th anniversary this year. Considering all this, it is not a simple matter for the Department of Energy to disentangle itself from its nuclear energy mission. Nevertheless, the Vogtle project would be a good place to start. The project consists of adding two new reactors to the Alvin W. Vogtle generating plant in Georgia, the site of two existing reactors constructed in the 1980's. All together, the four reactors would make Vogtle the largest nuclear power plant in the U.S., and among the largest power plants of any kind in the U.S. (the Grand Coulee hydro power plant wins top honors). The two new reactors have been in the works since 2008, with operation expected in 2019 and 2020. Even with the additional $3.7 billion in loan guarantees, some industry observers doubt that there is not enough financing available to complete the project. 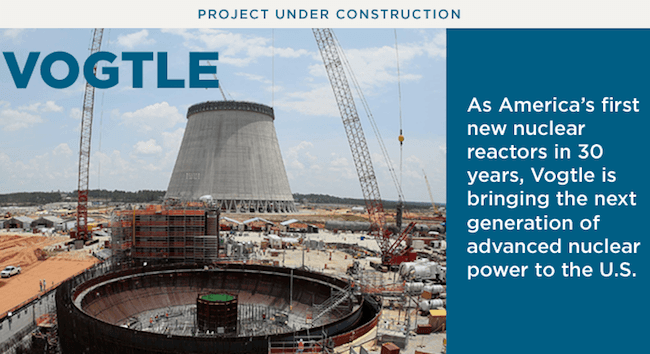 When the Vogtle project was first proposed, utility stakeholders justified the cost based on the need to provide for a growing population and increased demand for electricity. 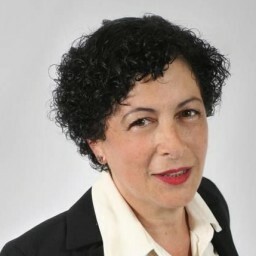 However, electricity customers in Georgia are already paying a premium for the Vogtle project, and the increased costs are difficult to justify in an era when cheap natural gas and low-cost renewables are creating new alternatives. In addition, a confluence of new technology -- energy storage, energy efficiency and renewables -- is decoupling economic and population growth from the conventional model of growth in sales of kilowatt-hours. So, it's not altogether evident that economic growth in Georgia depends on the new Vogtle reactors. The large scale nuclear energy model is especially outdated in today's marketplace. Leading U.S. corporations and the emerging community aggregation movement are both driving the transition to renewables as a more safe, environmentally responsible and economically sustainable way to operate. Nuclear energy industry stakeholders insist that today's technology is safe. However accurate that argument may be (or not), past experience has made U.S. electricity consumers skittish. If corporate leaders and community aggregators are able to buy kilowatt-hours without relying on Vogtle, other ratepayers may have to shoulder an even greater burden. This brings us to the Energy Department's related proposal, which is aimed at enabling nuclear (and coal) power plants to continue operating even if cheaper alternatives are available. The justification for that policy is the need for large "baseload" power plants that operate 24/7. However, the baseload model is out of date. That is clearly evident by the aftermath of hurricanes Harvey, Irma, Jose and especially Maria, which effectively destroyed the entire electricity grid of Puerto Rico, leaving millions of American citizens without power indefinitely. As of this writing, it is highly unlikely that the proposal will be approved by the the Federal Energy Regulatory Commission. For starters, the Energy Department's own ongoing Grid Modernization Initiative, and its controversial new "grid study," both affirm that the conventional baseload power plant model is history. If that's not enough fire power to beat down the proposal, the American Petroleum Institute has already flexed its lobbying muscle in support of the more nimble, flexible and distributed grid of the future, so stay tuned for more on that. As for the Vogtle plant, Trump's own Republican party has advocated for eliminating the loan program that would provide the additional $3.7 million in funding, so it's not altogether clear that the life preserver will actually materialize.